The word itself can create an uncertain feeling. But the more you understand amortization, the less intimidating it is and the more realistic you can be in getting and paying off – amortizing – your vehicle financing. Amortization happens over a specific time frame, as in a five-year auto loan. Most people already have experience with amortization through credit card loans and home mortgages, on which they pay more interest early in the term and less interest later on. But it gets easier as you near the end of the contract that is amortizing, when each payment goes toward paying mostly the principal amount on which you received financing. It’s important to remember that how you manage your account can affect the total amount you pay over time and whether you will have a balance remaining when your account matures. Late payments, due date changes, payment extension and temporary reductions in payments due all affect your amortization schedule, with the extra days adding interest to your account balance. 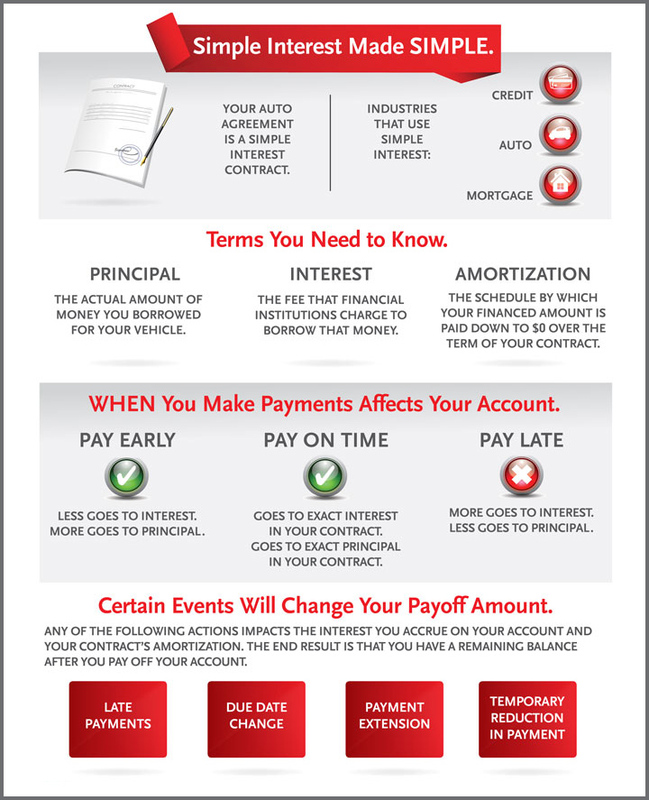 See where amortization fits into the equation of simple interest vehicle financing in the infographic below – and how you can affect it by paying early, on time or late – or view a video about simple interest auto financing under “Loans” on our home page. 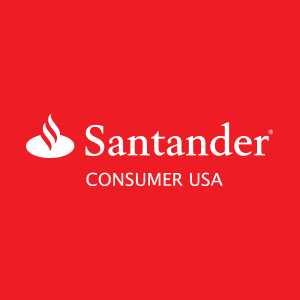 You also can calculate your monthly vehicle payment or the amount you’ll need to finance by using our Santander Consumer USA calculators.